At present, Alabama game warden jobs are highly sought after. Competition for these roles at both the state and federal levels is extremely rigorous due to the demanding qualifications. Successful applicants enjoy the outdoors and are passionate about promoting the beauty of natural resources. Typical job responsibilities for a game warden often involve more than law enforcement, and can include biological duties, bird and mammal population and migration surveys, conservation efforts, and advocacy. Often, a game warden manages a portion of a state, which makes their job demanding both physically and mentally. Because of the competitive nature of these jobs, game warden applicants often apply to multiple agencies, and first become part of a hiring pool of qualified applicants. The stiff competition makes it important to understand the minimum qualifications, requirements and hiring process so that applicants can be fully prepared to put their best foot forward. Read on to discover more important information on game warden jobs in the state of Alabama. Men and women interested in both law enforcement and outdoor conservation are naturally drawn to fields that involve protecting natural resources. Also known as Conservation Officers, game wardens dedicate their lives to protecting and advocating for our nation's natural resources by enforcing laws and regulations that control the activities of sport hunters, anglers and others who participate in outdoor recreation. The role of game warden is a challenging one, which means that all applicants must have the qualifications and requisite knowledge, skills and abilities to be considered eligible for the job. Outlined here are the minimum qualifications for consideration as a Game Warden within the state of Alabama - please note that all game wardens in the state have successfully completed Alabama's peace officer training course, and candidates would be expected to do the same. Work Eligibility: New employees present original documents that establish identity and eligibility for U.S. employment opportunities as per federal law. Medical Condition: The applicant must be examined by a licensed physician and produce a signed affidavit indicating that they are able to physically perform the duties of a game warden prior to employment. Hearing: The applicant must meet the minimal hearing standard with or without hearing aids, and be able to hear in settings including long distance, directional and voice conversation hearing. Applicants must successfully complete ALL components of the physical readiness test. It is advised that applicants consider advance preparation for physical readiness testing. Applicants are also encouraged to seek professional medical advice prior to beginning a regimen of physical activity to prepare for this test. Retesting to these standards is part of the ongoing training for new and veteran conservation officers. Psychological Condition: The applicant will be examined by a licensed psychologist and be declared to be in satisfactory psychological and emotional health for law enforcement duty prior to employment and the issuance of a peace officer license. Receptive and expressive bilingual skills. The Alabama Department of Labor reported that the average salary for game wardens in the state was $55,167 ($26.53 an hour) as of 2017. Alabama’s experienced game wardens, who usually enjoy salaries that fall within the top 25 percent for their profession, were reported to earn an average of $60,582 ($29.13 an hour) at that time. 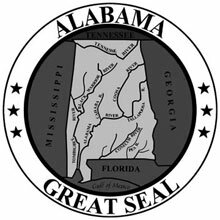 The State of Alabama Personnel Department offers examinations for trainee conservation enforcement officers at frequent intervals and offers a starting salary within the range of $35,590 to $53,995 a year, depending on experience.